Senegal’s Lions Of Terranga became the first African team to win a game at Russia 2018 when they confounded the form book to upstage Poland 2-1 in a Group H encounter. By beating group top seeds Poland, Senegal joined Japan, who conquered Colombia by a similar margin atop the group standings. 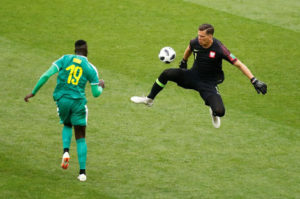 In subduing European powerhouse Poland, Senegal handed down several key lessons for Africa’s four other World Cup representatives – Egypt, Morocco, Nigeria and Tunisia – all of whom had lost their opening rubbers. 1- Lesson number one was a team manager or coach must have a game plan. 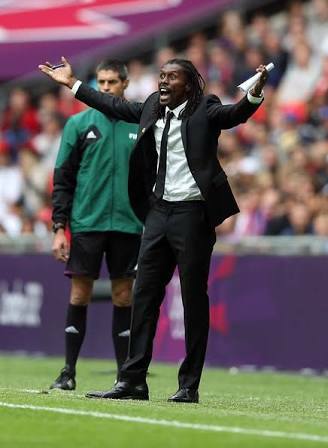 Senegal boss Aliou Cisse, who captained the Lions of Terranga to an opening day victory in Japan and Korea 2002, executed his game plan to perfection. The plan was to stave off any early onslaught Poland, who are ranked eighth in the world, nineteen places above the Africans. The rest of Africa’s reps have been starting games on the back foot, thereby losing initiative. 2- Current form matters in team selection. Coach Cisse pulled off a masterstroke by dropping established stars including keeper Abdoulaye Diallo, Diafra Sakho, Keita Balde, Lamine Gassama and Cheikh Kouyate; all of whom had been mainstays during qualifying. 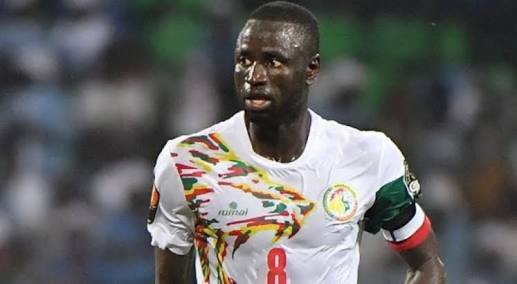 In came Khadim Ndiaye in goal, Moussa Wague, Alfred Ndiaye, Mame Biram Diouf and Ndiaye Niang – named in the starting line up despite never having scored for Senegal. FC Horoya’s 33-year-old Khadim Ndiaye made light work of his status as the only Africa based player to star in goal while Ndiaye Niang capped a fine display by netting the winning goal after pouncing onto a mix-up in the Polish defence and catching keeper Wojciech Szczezny in no man’s land. Nigeria would particularly benefit from the 3-5-2 as Gernot Rohr’s Super Eagles have been vulnerable at the back, while simultaneously lacking verve going forward when fielded in a 4-4-2 formation. 3- Fluid 3-5-2 formation. Cisse dropped physically endowed giants Kara Mbodji and Lamine Gassama, instead handing a start to diminutive Moussa Wague on the right side of a three-man defence along with towering Salif Sane and the powerful Khalidou Koulibaly. This worked a treat, as it freed wing backs Ismail Sarr and Youssuf Bakaly to bomb down the flanks. As a consequence, the marauding full backs were a constant menace to Poland. 4- Winning personal duels. Ten out of eleven Lions of Terranga starters bettered their opposites on the Poland team. Salif Sane had Poland star man Robert Lewandowki in his pocket in a match turning performance, as did most of his team mates. Senegal were bigger, faster on the ball and more determined in the tackle. Only Sadio Mane, perhaps weighed down by the captain’s armband, failed to get the better of Polish right back Lukacz Piszczek.